Nokia 3310 phone is Back: What’s So Special about it!! 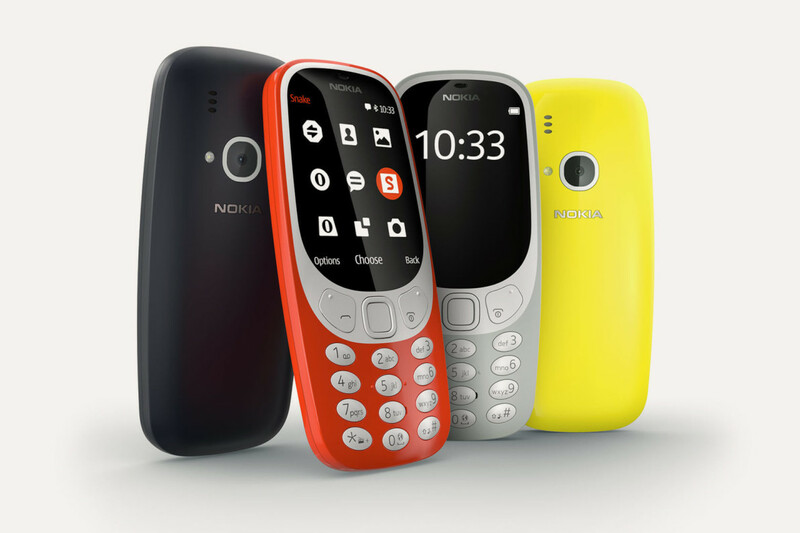 Nokia 3310 is Back: What’s So Special about it!! I remember I was in my early teens when India was hit by a phone revolution of sorts. The one thing every one flaunted was a big bulky mobile phone and we had so many sizes and shapes of phones unlike today’s chocolate bar design. The phone that took the market by storm was the iconic Nokia 3310, till then we only had “practical” mobile phones which made calls and send texts. Then came this big blue phone with a display much bigger than most other phones. It took the market completely by storm. It had what we now reminiscent the most- Snake and customizable ring tones. Those of you are from that time will remember that how long did the battery of this phone last and charging was the least of our priority. Now come 2017, Nokia was dead and gone until last few days when they created a stir in the Tech world with a new launch of an Iconic phone, NOKIA 3310. There was a lot of speculation on the launch of Nokia 3310 and what all it will offer. Then the day came when they finally made it happen and Nokia 3310 launched at MWC 2017. They announced the phone in glossy new colors but unlike rumors it did not come with android but it comes with a simple UI which is nothing fancy like you’d expect. So the Question is should you buy it? Yes and No! Lets see why the “Yes” first.. Incredible Battery: The phone has incredible battery life and the company claims that it will last a month. Honestly, I am charing my phone for the second time today and would love to have something that doesn’t need me to be close to a power source 24×7. Memory Card: The phone also boosts a memory card so you can expand its initial basic memory. Backup Phone: The phone is a great backup phone for someone and it for those like our elders who are not very tech savvy and need a basic phone. For Kids and Elders: I have seen many parents being worried about the content on smartphones and these days most kids need a phone given how the society is changing. This phone is great for such parents. The kids get a means for communication plus basic media, it does have internet but not 4g. It is also a dual micro-SD sim card phone also it has a 2 megapixel camera which nothing compared to the modern ones is fairly decent. Why you shouldn’t buy new Nokia 3310! The No’s aren’t that many but it is good to know for you all. No front Cam or Android: It does not have a front camera nor does it have android or any fancy tech that we are so used too. I would suggest and in fact the main reason anyone would get this is for nostalgia and to have as a great back up phone ( Just for calls and the rarely used SMS feature) . This is honestly a good “dumbphone” to have and I for one will pick it up once it is in India. Dumb phone aren’t new to the smart phone heavy market of now. Most other dumbphones like from Garmin or Punkt cost a lot, Punkt for example is $249. The Nokia 3310 is expected to be $50 or around just Rs. 3200 in India and will be available in 4 exciting colors.